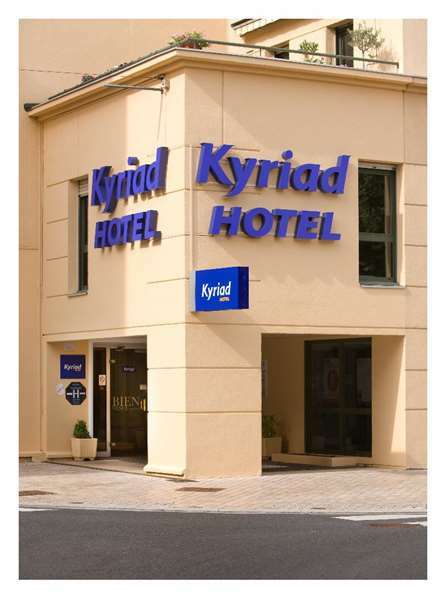 Hotel Kyriad Villefranche-sur-Saône is a 3-star establishment located in the heart of city. 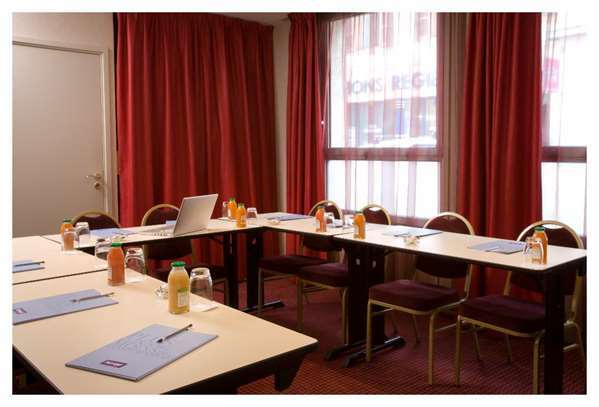 We are also ideally located for your business trips and for a family getaway to explore the Beaujolais region. 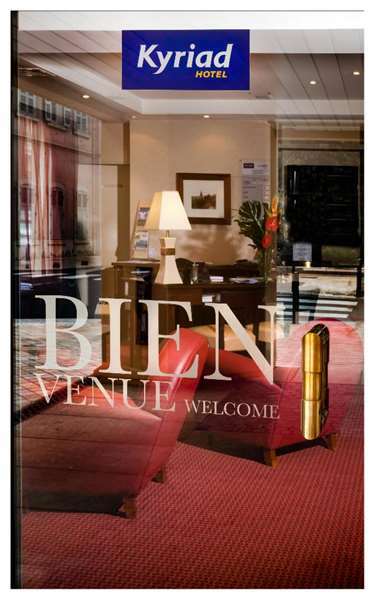 Our hotel is in the heart of the cultural district and welcomes you 24 hours a day in several languages. 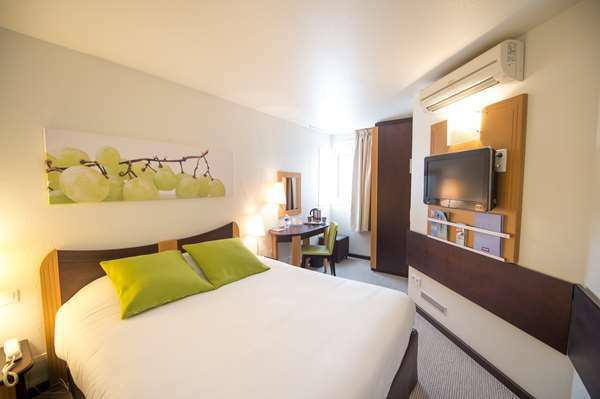 We are a 5 minute walk from the SNCF train station at Villefranche, 10 minutes by car from the highways, and just 18-and-a-half miles from central Lyon. 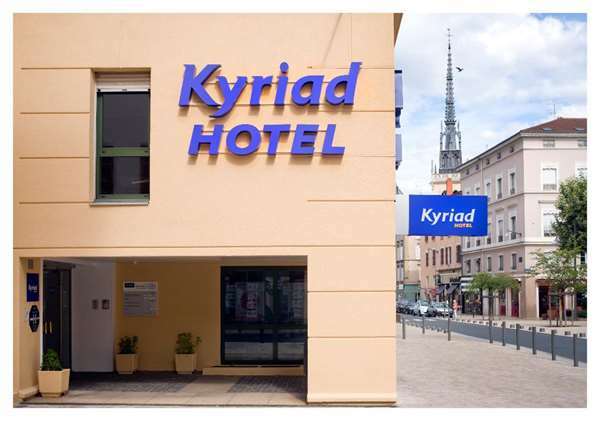 Hotel Kyriad Villefranche-sur-Saône offers comfortable and quiet rooms, a lounge and of course a bar for a pleasant, relaxed stay. 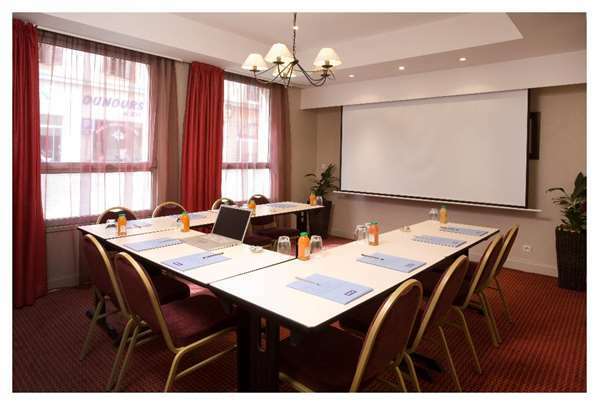 Our hotel also has a fully equipped and air-conditioned meeting room to organize your seminars or hold an event or cocktail party. 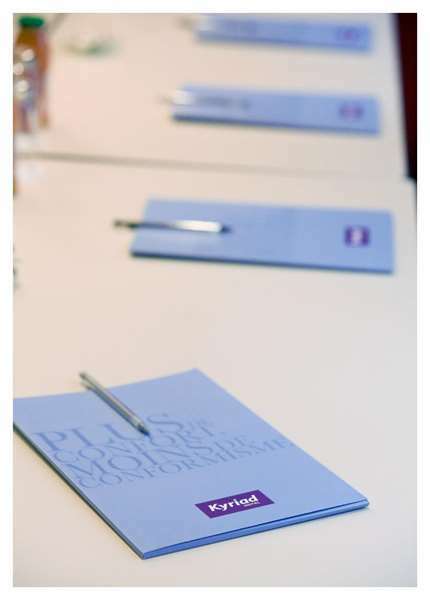 We offer a few secure underground parking spaces on reservation, with supplement. The elevator is out of service from April 02th to april 29th 2019 included, thank you for your understanding. 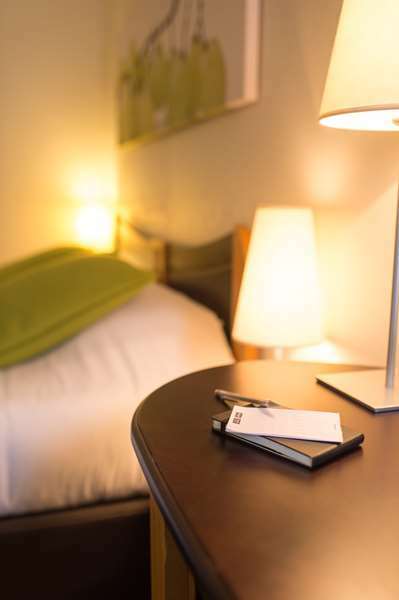 The rooms at our hotel offer a warm and cozy environment with new high-end bedding, individually adjustable air conditioning, a desk, wardrobe and private bathroom with shower cubicle. 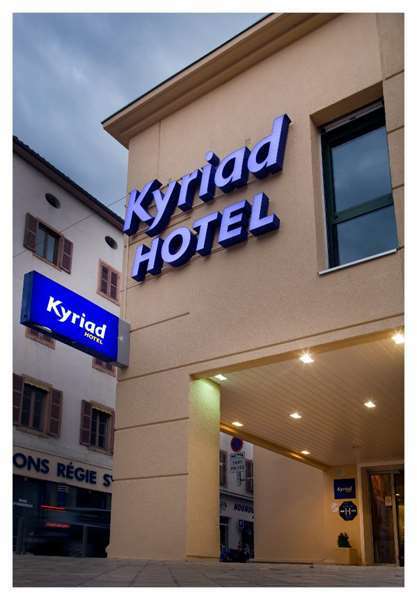 Hotel Kyriad Villefranche-sur-Saône welcomes you on one of its 4 floors served by an elevator, and gives you a choice of rooms with double beds or single beds, and family rooms where your pets can accompany you (under certain conditions and for a fee). 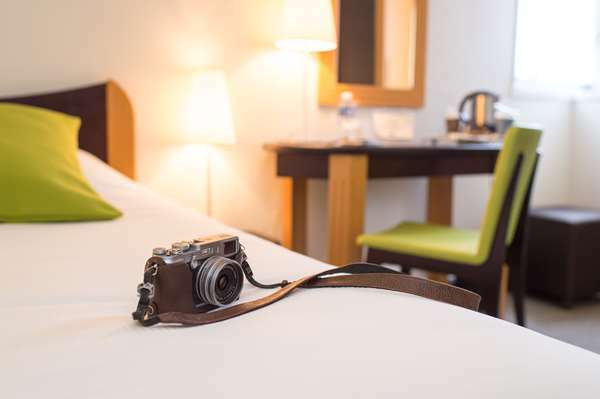 Your safe, comfortable, entertaining and friendly hotel offers you a great number of services you need for your comfort and convenience. 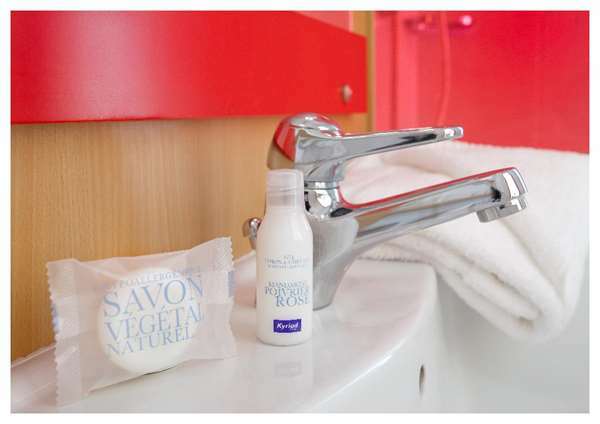 All rooms are equipped with a hair dryer and courtesy tray with hot drinks and cookies, as well as bottled water. 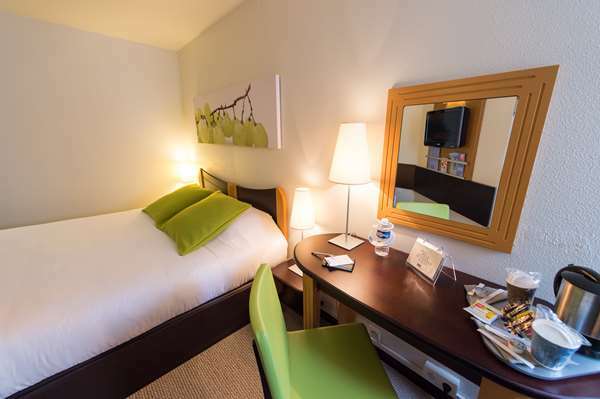 You can relax while watching Canal+ on your flat-screen TV. 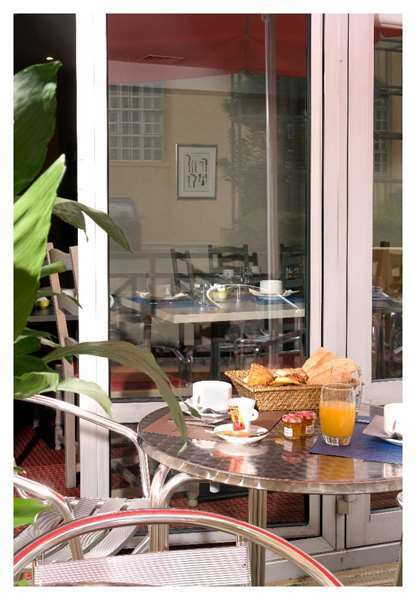 To fill up on energy each morning, our hotel offers you an all-you-can-eat breakfast buffet in our warm, friendly room that opens out onto a very lovely terrace in the summer season, with a view on the monuments of Place Barmondière. For just €10.60, you can choose from a large selection of Danishes and fresh bread, jams, honey and other spreads. We also offer fruit salad, an assortment of cold cuts and dairy products, and all the hot or cold drinks you need to get a good start to your day. 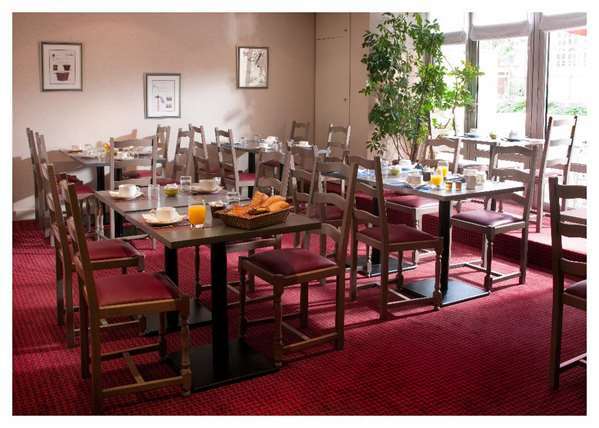 Breakfast is half price (€5.30) for children up to age 10. - things definitily need paint and a fix. 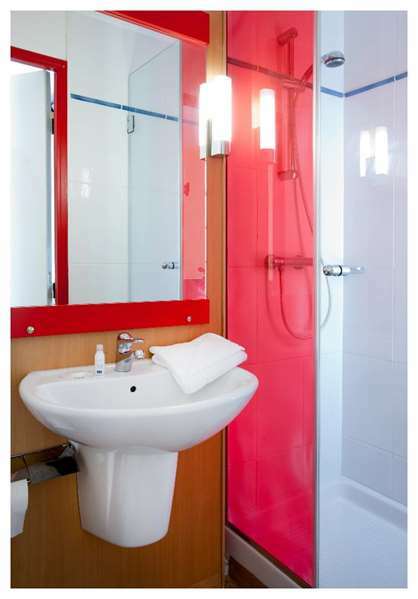 - 85 euro (with garage, no breakfast), too expensive. Stop on route to alps. Rude staff, terrible breakfast (not included)- no hot options- parking extra. 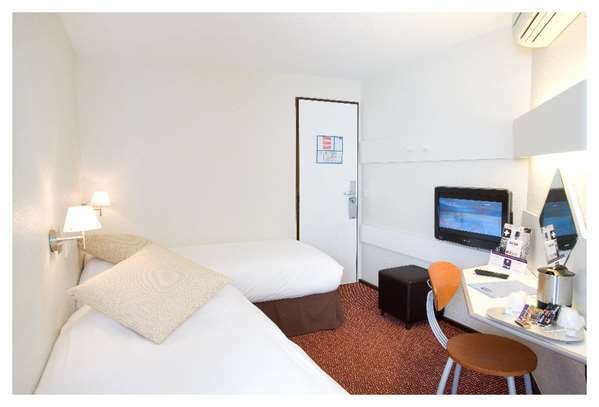 The rooms are the smallest you will ever. And top things off next to a mousetrap bar. £160 wasted!! 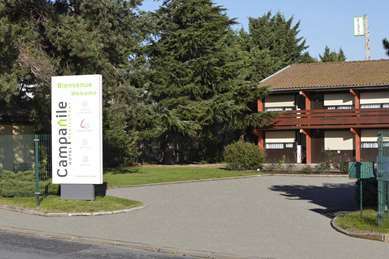 Excellent central location with available parking at a small charge. 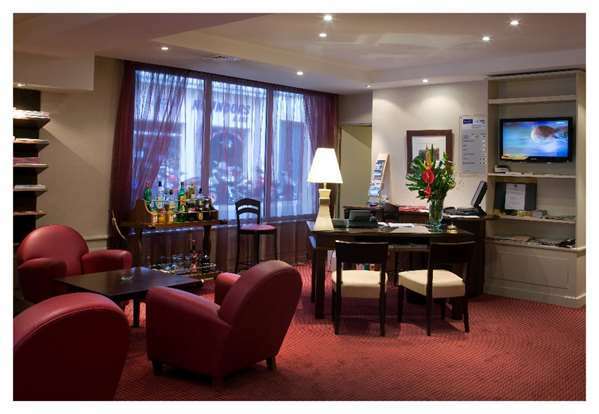 Front desk staff were friendly and helpful, room was clean and functional. 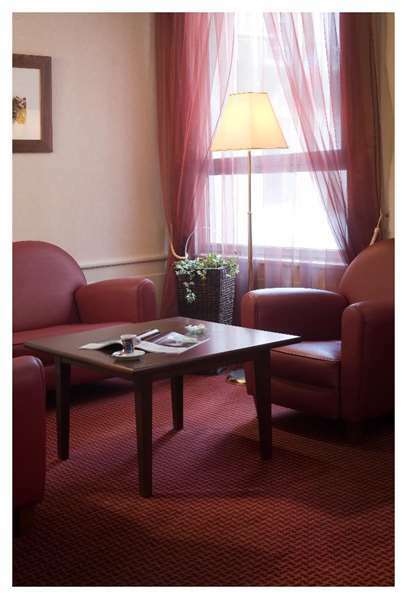 However the hotel had all the charm of an east European hotel circa 1970. 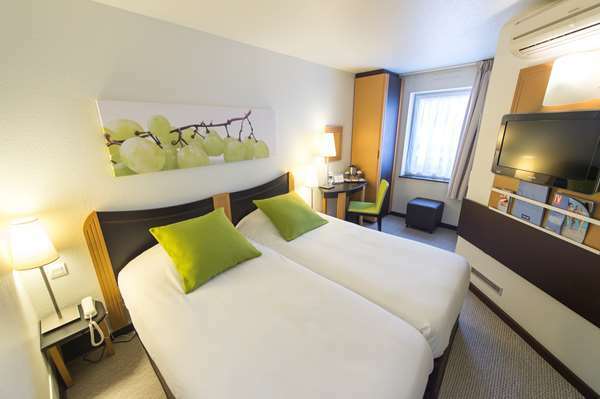 Rooms are tiny and cramped and only really suitable for an overnight stay. 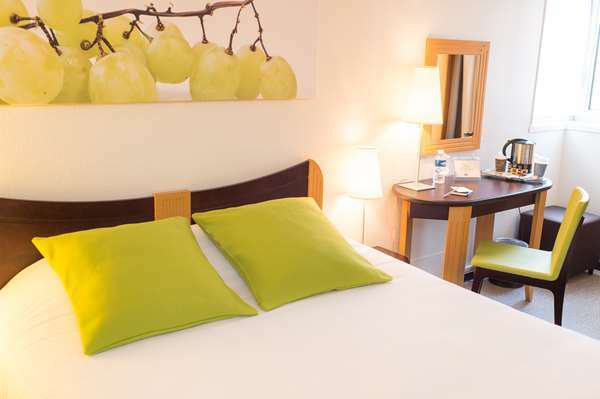 Having never stayed at another hotel in Villefranche I’ve no idea if our room rate of €70 was good value. Compared to other hotels I’ve stayed in other towns I’d say not. 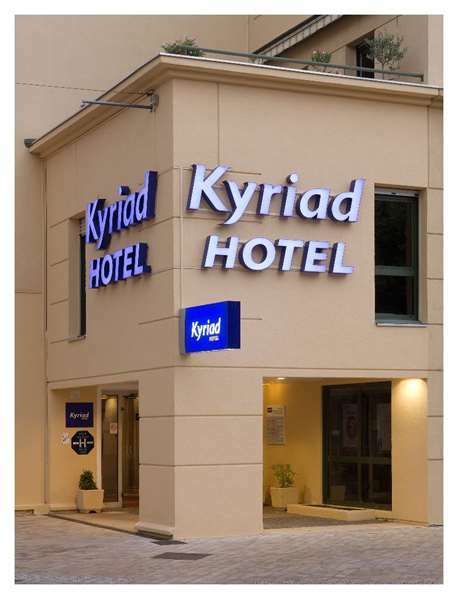 We stayed at this hotel for 2 nights in June as part of a business trip, checked in at approx 1 AM, this was very quick and efficient, breakfast ok. 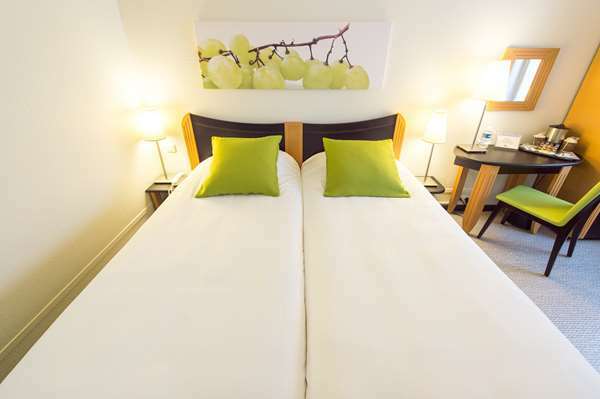 The staff was very polite, thoughtful and considerate regarding our particular needs. This hotel has serious cleaning issues. Bathroom was dirty and dusty. Mold in the shower and hair all over. 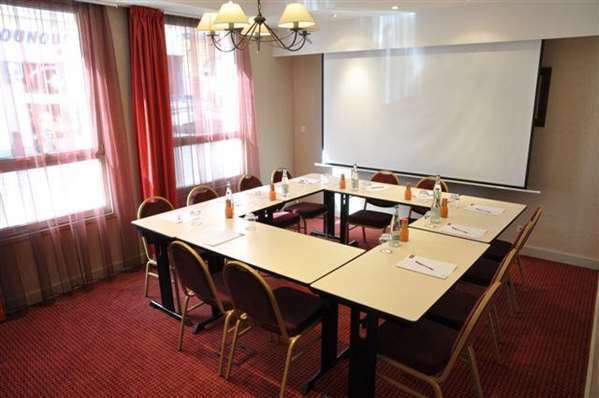 The rooms are small but oke. Bed is good. Dust on the tv and corners. Corridors have old carpet. Not vacuumed properly. 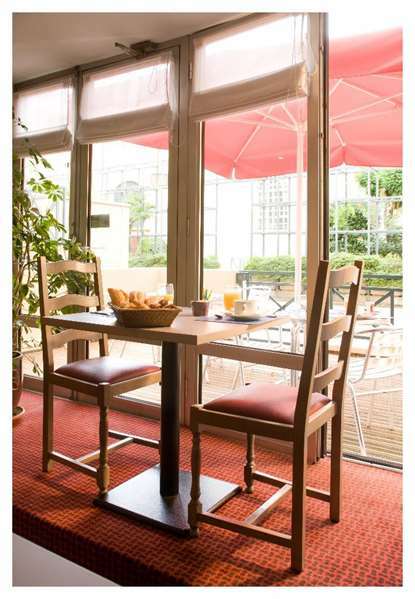 Breakfast has a large selection, but dishes and glass wear have stains and the tables are not cleaned after guests have left. They only take away the dishes, leaving the tables dirty. 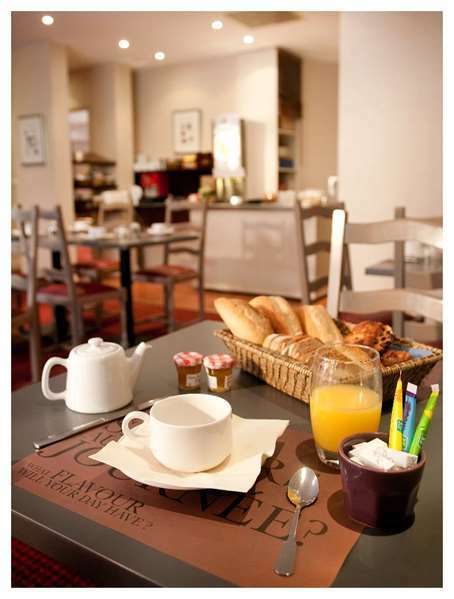 Not worth the 80 euro + breakfast costs..